At B&B we like to keep things simple with our consignees'. The days we make available for individuals to come up with their items are on Monday, Thursday, or Friday during normal business hours. Should you have bulkier items or a large quantity of stuff we encourage you to contact us so that we can make other arrangements. Unfortunately, because of the volume of shoppers and limited space we are unable to accept any items or take appointments with potential consignees during the weekend. At the shop we hold the right to reject any items and be the sole determiner of price at which an item will be sold. The terms for our consignment agreement fall into one of two categories. Items priced at $20 and under are a 50/50 split between you and the shop. Any items priced at $20 and up are a 60/40 split with sixty going to the consignee and forty going to the shop. If you have any other questions please do not hesitate to contact us! Monkton is home to some of the most beautiful horse farms in Maryland, and the historic steeplechase race My Lady's Manor. With that culture comes no shortage of shoppers looking to decorate their homes with anything and everything that evokes the spirit of horses. So if you're just moving in or looking to downsize bring us what you have! The shop always needs old antiques that are of good quality. If you have something you'd like to part with bring it to us and let us help you a find a buyer in the right market. 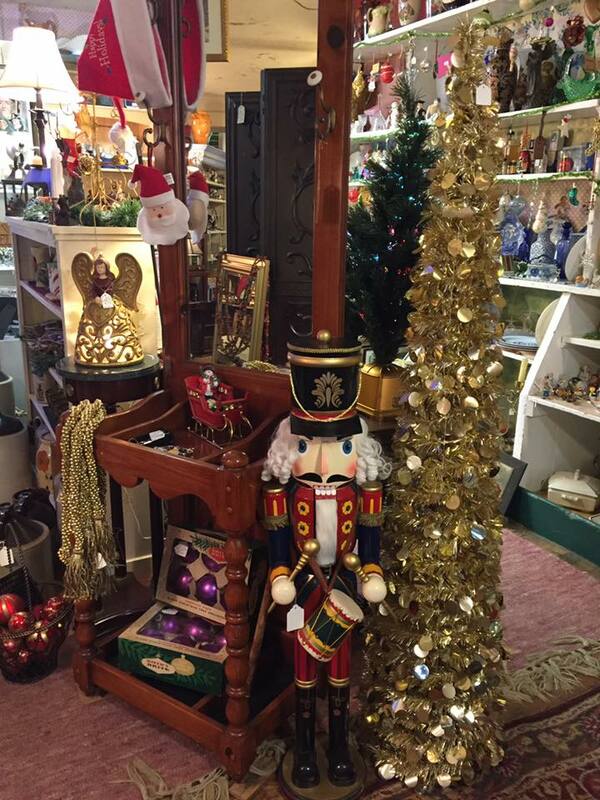 During the holidays we like to dress the shop up with a selection of items that represent the ongoing festivities. We recommend bringing in any holiday related items a few months prior to the date. If it's an item related to one of the four seasons that isn't holiday specific we'll accept those as well. We'd love to take everything all the time, but because of limited space have to be selective of when we take things so try to time your consigning with the time of year.